The Iranian authorities should end their cruel campaign of harassment and intimidation against the families of detainees who have died in detention under suspicious circumstances, Amnesty International, the Centre for Human Rights in Iran, Human Rights Watch, and Justice for Iran said today. 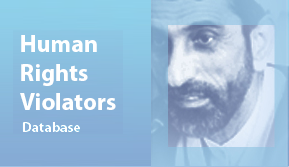 The human rights organizations expressed concerns that the bereaved families are facing reprisals for seeking truth and justice and renewed their calls on the authorities to establish an independent commission of inquiry and invite the UN Special Rapporteurs on torture and other cruel, inhuman or degrading treatment or punishment, and on extrajudicial, summary, or arbitrary executions to visit. The authorities should ensure that if there is sufficient evidence of unlawful deaths in detention, the perpetrators responsible will be prosecuted and punished. The authorities should also immediately lift the travel ban against Maryam Mombeini, the wife of Iranian-Canadian environmentalist Kavous Seyed-Emami who died in detention in early 2018, and allow her to reunite with her family in Canada. Since December 2017, there have been at least five known deaths incurred by state security officials, with at least four of these deaths occurring during detention. In three cases – those of Sina Ghanbari, Vahid Heidari and Kavous Seyed-Emami – the authorities announced immediately that the deaths were the result of suicide – claims which family members and human rights groups strongly disputed. In the case of the fourth individual, Saro Ghahremani, the authorities claimed that he was shot during the course of an armed confrontation with security forces. His family also disputed the official claim, saying that he died in custody after he was arrested during the nationwide protests of December 2017 and that his body bore marks of torture. The most recent case concerns Mohammad Raji, a member of Iran’s persecuted Gonabadi Dervishes community, who was arrested on 20 February, following the violent dispersal of a peaceful protest by Gonabadi Dervishes in Tehran. His family was informed by the police 15 days later, on March 4th, that he had died from the injuries caused by repeated blows to his head. The details concerning the exact manner, place and time of death and all of the surrounding circumstances remain unclear. The authorities have only stated that he was fatally injured during the clashes that occurred between protesting Dervishes and security forces on February 19th, and he died either during his transfer to Baqiyatallah Hospital or after his admission to hospital. His family has emphasized that Mohammad Raji was injured, but alive, at the time of the arrest and expressed outrage at the concealment of his fate and whereabouts for the 15 days following his arrest, and towards the authorities’ refusal to clarify the sequence and timing of events that led to his death. In all five cases, Iran’s judicial and security authorities have threatened the bereaved families in a bid to silence their pleas for truth and justice. They have also engaged in what seems to be an orchestrated campaign to cover up any evidence of torture, other ill-treatment, and unlawful deaths while defaming the deceased publicly. Family members have been subjected to various forms of harassment and intimidation, including before being informed of the death of their loved ones. Their lawyers have also received threats for pursuing legal action, faced pressure to withdraw their representation, and, in at least one case, a lawyer has been detained for speaking to the media. Maryam Mombeini, the wife of Kavous Seyed-Emami, was kept in the dark about the fate and whereabouts of her husband for two weeks following his arrest on January 24, 2018. On the 9th of February, the Office of the Prosecutor in Tehran called her to visit her husband in Evin prison. Once there, she was taken to an interrogation room and interrogated for about three hours. She has said that during the session, an official from the prosecutor’s office and three agents from the Intelligence Unit of the Islamic Revolutionary Guard Corps (IRGC) bombarded her with questions about her husband’s environmental work and his various personal and professional associations. She was pressured to sign a statement “confessing” that her husband was a “spy”, which she refused to do. In response, she said the authorities yelled and swore at her, threatened her with imprisonment, and claimed that her resistance indicated that she too was a “trained spy”. The authorities then forced her to sign a paper undertaking not to speak to the media, before taking her to the coroner’s office to see her husband’s body. She was threatened that, if she spoke to the media, her family would be in danger and “anything could happen to them”. Crucially, Maryam Mombeini said that the prosecution and Revolutionary Guards officials made threatening remarks that could be perceived as implying their complicity in Kavous Seyed-Emami’s death and contradicting the claim that the death resulted from suicide. She said this included a specific remark that, if the family talked to the media, “They would be taken to the same place as her husband”. In the days that followed and as the news of Kavous Seyed-Emami’s death sparked a public outcry, the harassment escalated. His son, Ramin Seyed-Emami, said that in the course of a week, he received over 100 text messages on his phone and social messaging accounts containing death threats and demands that he stop pursuing and publicizing his father’s case. IRGC officials raided the family’s home twice, on the 24th and 26th of January, seized many of their belongings, including their title deeds, electronic devices and photo albums, as well as their cars, and threatened that they would be stripped of their assets if they pursued legal action. The authorities’ harassment also extended to the two neighbours living on other floors; the Revolutionary Guards entered their flats and confiscated a computer from one home and damaged a computer in the other one. Between the 12th and 13th of February, several IRGC officials went to the home of Kavous Seyed-Emami’s brother, and forced him to make a video-recorded statement saying that he had seen the body of his brother and believed that he had committed suicide. The statement was aired on Iranian state TV on February 15th, as part of a programme which falsely accused Kavous Seyed-Emami of using endangered Asiatic cheetah surveys as a pretext for spying in strategically sensitive areas. The programme failed to present any evidence and violated the presumption of innocence and other due process guarantees. Kavous Seyed-Emami’s family subsequently stated that the video statement had been made under coercion and that Kavous Seyed-Emami’s brother was not in a position to determine the cause of death. In fact, all he could confirm was that there were bruises on the body of the deceased, which he was not allowed to state in front of the camera. The authorities also created a climate of intimidation around the memorial ceremony that was held for Kavous Seyed-Emami on February 21st. The family reported that there was heavy police security at the memorial ceremony, and the IRGC officials who had conducted the raids on their home were noticeably present. On March 7th, when Kavous Seyed-Emami’s family attempted to leave the country, authorities prevented Maryam Mombeini from accompanying her two sons and imposed a travel ban on her. According to a statement the family issued, Maryam Mombeini has been suffering from serious medical issues since her husband’s death and has had to receive hospital care regularly for panic attacks. The families of other detainees whose deaths were incurred by state forces have suffered similar treatment at the hands of prosecution officials and intelligence and security bodies. In the case of Saro Ghahremani, whose family said he died in a Ministry of Intelligence detention centre in Sanandaj, Kurdistan province in early January, the authorities released a programme on state media outlets on January 14th, in which Saro Ghahremani’s father “admitted” to his son’s involvement in “an armed anti-revolutionary group”. His family later retracted the video statement, saying that it was made under coercion. Ministry of Intelligence officials also repeatedly threatened the family to refrain from registering a legal complaint and speaking to the media. Authorities coerced Mohammad Raji’s family to bury his body at 2 A.M. on March 6th, with police forces present at a cemetery in the city of Aligudarz in Lorestan province. They also threatened to arrest Mohammad Raji’s family members if they continue to speak to the media. In the case of Vahid Heidari, who died in early January under suspicious circumstances in Arak prison in Markazi province, the authorities did not stop at harassing his family to remain silent. They also arrested human rights lawyer Mohammad Najafi in reprisal for exposing Heidari’s death in custody and reporting that his body bore marks of torture and other ill-treatment, including cuts and bruises. Mohammad Najafi has remained in detention in Arak prison since his arrest on the 16th of January and faces several spurious national security-related charges. In the case of Sina Ghanbari, the authorities exploited the taboos surrounding drug addiction to defame his character. Officials said that he was “a drug addict” without elaborating on how this claim, even if true, was relevant to the circumstances of his death. His family was warned against speaking to the media and human rights groups and put under pressure to cancel the arrangements for a memorial ceremony that would be open to the public. The repeated harassment and intimidation of families has been accompanied by official conduct that appears to be aimed at suppressing incriminating evidence of torture, ill-treatment, and unlawful death in detention. The authorities have consistently denied families’ requests to receive the bodies of their loved ones, unless they agree to bury the deceased immediately and make no attempt to secure an independent autopsy. In the case of Mohammad Raji, the family was informed of his death on March 4th and told that they should bury him the same night. When the family disagreed, the authorities threatened not to return the body. On March 6th, reports surfaced that the family was compelled to quietly bury the body the night before in the presence of security and intelligence forces. The authorities told the family that the state forensic institute, which operates under the supervision of the judiciary, had conducted an autopsy and the results would come through within two months. 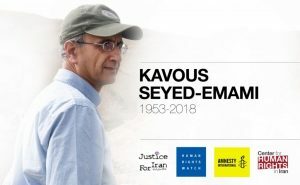 In the case of Kavous Seyed-Emami, the family were similarly informed on February 12th that the state forensic institute had conducted an autopsy and it would take between four to six weeks for the results to come through. In neither case did the authorities inform the families about the autopsy in advance or allow their legal representatives to be present during the autopsy or access relevant documents. This has raised serious concerns that the authorities might unlawfully intervene with the process and unduly alter or withhold some findings of the autopsy. The Iranian authorities have also refused to allow families, lawyers, and other concerned parties to access CCTV footage showing the moments that preceded and followed the deaths of the detainees in their cells. In the case of Kavous Seyed-Emami, one of his sons, Ramin, and their two lawyers were allowed to see a segment of the footage on the 12th of February. However, in a statement issued on February 14th, his son said that the segment shown to him did not include the moment of death: “All I could see is that my dad is nervous and restless. He is not himself. He paces the cell to and fro… [and then] goes into a different room, which we were told was the ‘bathroom’… Seven hours later a body is carried out of that room.” The authorities have rejected the lawyers’ request to access the full footage and visit and inspect the room where the death allegedly occurred. The same partial footage was apparently shown to several parliamentarians on February 12th, and they similarly remarked that it did not provide any conclusive evidence of suicide. In the case of Sina Ghanbari, who died under suspicious circumstances in early January in Tehran’s Evin prison, a segment of the CCTV footage has been shown only to a parliamentary delegation which visited Evin prison on the 30th of January. Members of the delegation have provided conflicting information about the content of the footage and whether it provides any evidence of Sina Ghanbari’s alleged suicide. Allahyar Malekshahi, the head of the parliamentary judiciary commission, told IRNA news agency on January 30th that they were shown the video of Sina Ghanbari’s suicide. However, another member of parliament, Alireza Rahimi, wrote on his Telegram channel that the footage only showed Sina Ghanbari walking into the bathroom, where his body was discovered two hours later. On the 14th of February, President Rouhani appointed a committee comprised of a legal deputy to the president and Interior, Intelligence and Justice Ministers to investigate what the president called “recent regrettable incidents” at detention centres in Iran. However, this committee does not meet the requirements of impartiality and independence provided under international law and standards. According to the UN Principles on the Effective Prevention and Investigation of Extra-legal, Arbitrary and Summary Executions, members of a commission of inquiry “shall be chosen for their recognized impartiality, competence and independence as individuals. In particular, they shall be independent of any institution, agency or person that may be the subject of the inquiry” (Principle 11). 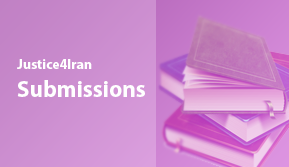 The committee President Rouhani established neither meets the standards of transparency and effectiveness. The terms of reference guiding the committee’s investigation and the procedures to be followed in the investigation are not known. The committee is not open to the scrutiny of the general public and is not bound to ensure the participation and protection of family members during the investigation. There is also no known order requiring the committee to make its findings, including their factual and legal basis, public. The Iranian authorities’ failure to conduct independent, impartial and transparent investigations into the recent cases of deaths in custody fits into a long-standing pattern of impunity in the country. The right not to be arbitrarily deprived of life is a fundamental and universally recognized right. The duty to investigate potentially unlawful deaths is an essential part of upholding the right to life. The duty gives practical effect to the duties to respect and protect the right to life, and it promotes accountability and remedy where the substantive right may have been violated. A failure to respect the duty to investigate is a breach of the right to life. Investigations and prosecutions are essential to deter future violations and to promote accountability, justice, the rights to remedy and to the truth, and the rule of law. According to the UN Minnesota Protocol on the Investigation of Potentially Unlawful Death (Minnesota Protocol), “investigations must, at a minimum, take all reasonable steps to: a) identify the victims; b) recover and preserve all material probative of the cause of death, the identity of perpetrators and the circumstances surrounding death; c) identify possible witnesses and obtain their evidence in relation to the death and the circumstances surrounding the death; d) determine the cause, manner, place and time of death, and all of the surrounding circumstances; and e) determine who was involved in the death and their individual responsibility for the death” (Paragraph 25). The protocol provides that participation of the family members is an important element of an effective investigation: “The state must enable all close relatives to participate effectively in the investigation, though without compromising its integrity. The relatives of the deceased must be sought … and informed of the progress of the investigation, during all its phases, in a timely manner… Family members should be protected from any ill-treatment, intimidation or sanction as a result of their participation in an investigation or their search for information concerning a deceased” (Paragraphs 35-6).